Malt, water, hops and yeast are the basic ingredients to make beer but only the correct mixture of these ingredients results in a successful product. During the various phases of the brewing process, all the ingredients are gradually changed into beer. Depending on the style of the beer, the process lasts more or less three weeks. There is then a maturing process lasting a few weeks to provide the beer with its special character and bouquet. The malt is hulled and ground and the resulting malt flour is placed in the hop boiler and mixed with lukewarm water. This used to be done manually with a stirring stick and took hours. A stirring stick is still the symbol for brewers. In modern breweries, mixing is now done mechanically but still with a great deal of care. In the past, hop boilers were made of copper but nowadays these have been replaced by stainless steel boilers. 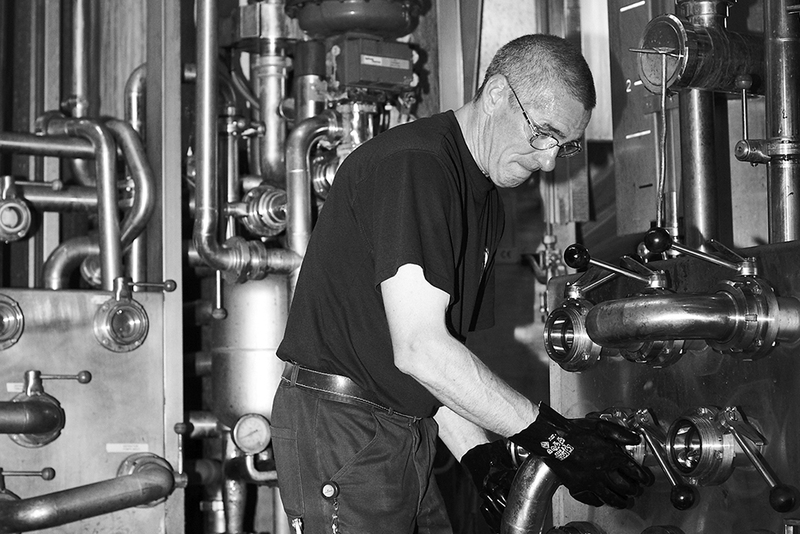 In the boiler, the temperature is gradually raised to 75°C. This warming up encourages the breakdown of soluble ingredients from the malt and the transformation of the starch into soluble sugar (maltose). There are two ways to brew beer: the infusion method and the decoction method. In the case of the infusion method, hot water is systematically added to the mixture until the desired temperature of 75°C is reached. This method is mainly used to brew high fermentation beers such as those produced in Quenast. The decoction method is more popular for the production of Pils beers (lagers). The wort is then kept at boiling point for 50 to 120 minutes. This boiling process enables the brewer to determine the exact density of the first wort. The beer is given its specific flavour and its bitterness by adding the desired quantity of hop. .
After boiling, the hop remains are removed by precipitation or by centrifuging and the brew is then allowed to cool. The brew runs through cooling ducts or cooling plates to enable it to aerate. Oxygen is essential for the yeast to multiply. 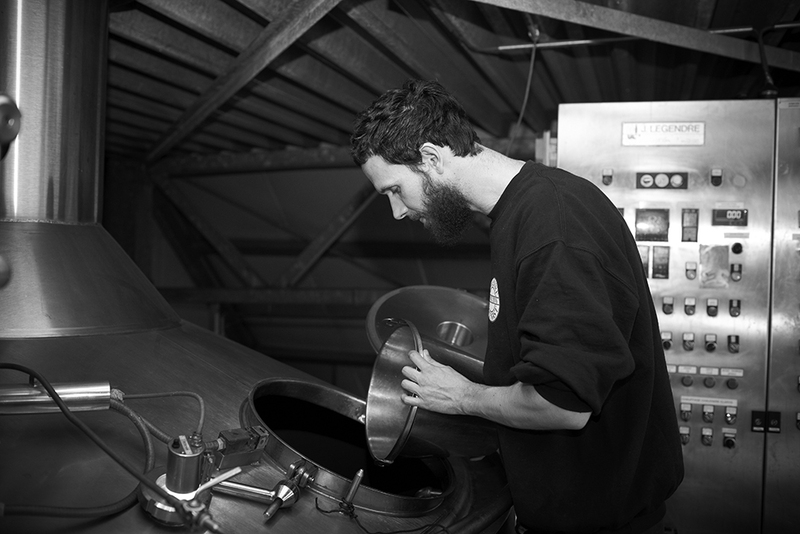 The brew has a temperature of 22°C when it goes to the yeasting tank. During this process, the sugars are turned into alcohol and carbon dioxide or, in other words, the wort becomes beer. In the case of special high fermentation beers, the ideal temperature for fermentation is between 22°C and 25°C and takes two to four days. 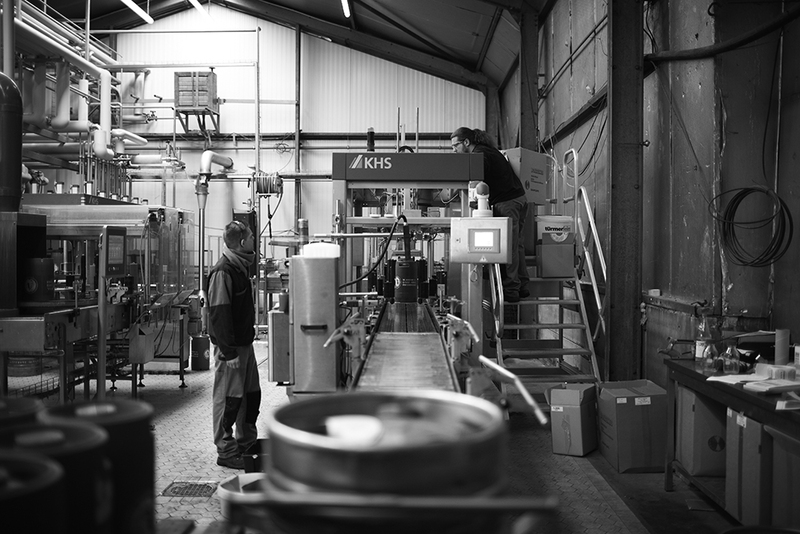 The beer is stored in large kettles for two to three weeks depending on the type of beer. The temperature is about 0°C. During this lagering period, the beer matures and gets its special flavour. The yeast sinks and the beer becomes clearer. After lagering comes filtration. The aim of this process is to remove any remaining yeast and other floating particles from the beer. Our special beers are not filtered but only centrifuged. If served very cold, they may appear somewhat cloudy. Beer for barrels (saturated) is ready to be consumed but this does not apply to bottled beer. The era of filling bottles manually is long gone. Nowadays, there are capacities of about one thousand bottles per hour. The bottles are filled under pressure and closed by means of a crown cap or cork. It is not just filling a bottle as every bottle must flow over a little so that the beer does not come into contact with the ambient air. A label is then placed on the bottle before being packed in crates or cardboard boxes and placed for storage in a cellar at 24°C. The remaining yeasts referment the exact amount of sugars in the bottle. After 10 to 20 days, the foam appears and the yeast remains adhere to the bottom of the bottle. This is called the champagning of the beer. Filling the barrels is easier. Wooden barrels are a thing of the past. 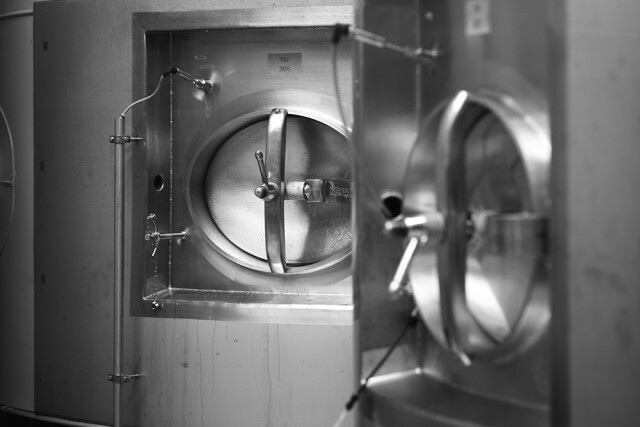 They were replaced by stainless steel vats. These are hermetically sealed to ensure absolute hygiene. Wooden barrels are a thing of the past. They were replaced by stainless steel vats. These are hermetically sealed to ensure absolute hygiene. Where can you find our beers?